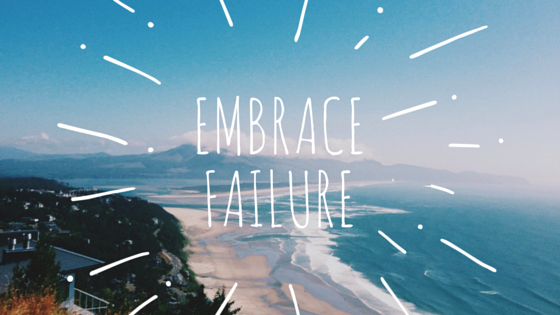 The Compelled Educator: What Does Embracing Failure Look Like? The F word is popular in education these days. Quips like, "You must fail before you succeed" or "Don't be afraid to try and fail" can be heard in messages from educators across the country. As a former athlete and coach, I totally get it. One of the life lessons that athletes learn is to work through failure. They learn that failure is a part of the process if they are trying to be successful. In professional baseball, athletes who are the best in the sport, fail at hitting more than they are successful. Good batting averages are less than .500, meaning that hitters "fail" more than they succeed. For athletes, failure is not one event. It's a series of moments that occur as part of the process. Practices where the pitcher can't hit her spots, shooting practice where the free throws won't go in, or workouts where the timed run is slower, not better. There are many, many opportunities to learn from mistakes (a.k.a. failure) through athletics. As a school leader dealing with discipline, I've had parents in my office with students who've made a poor choice at school. It's a moment of failure for the student. It's a safe environment where the student is surrounded by people who care about him. But sometimes, I have parents who beg me not to assign a consequence to the student. They say things like, "This is just not like him" or "He's never made a mistake like this." In these times, I question how much failure the student has experienced in his life. Failure should not define our future, and a misstep by a 14- or 15-year old student is okay. Consequences are part of the learning process. Because when the day is over, we can't bring it back or make a change to what occurred. What we CAN do is learn from the day, make different choices, and do better the next day. But what about students who aren't involved in athletics, band, or other programs and activities where they learn that failure is part of the process? What if they've never experienced failure? What happens when they make the first misstep? Is it possible to model that for them? I think a place to start is to share the video below with all students. 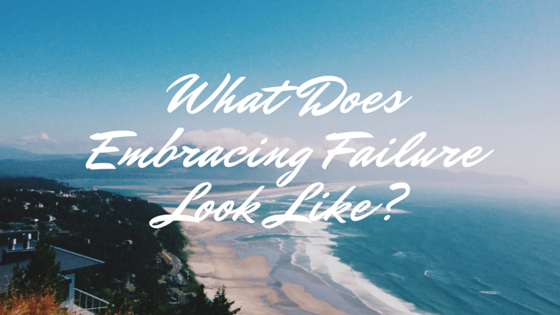 Follow up with a conversation about failure and also about perseverance, because we don't want students to embrace failure without learning from it and moving forward. After you watch the video below, let me know in the comments what your conversation starters would be with your students. Jennifer! TY for this piece!!! You made my day. Reminds me of the emotions in my classroom - with all desks pushed aside and lots of high fives and shouts. This type of engagement takes us all into the "look at what I can do" - whether the effort was an individual one or a team collaborative - we get to see kids as builders! We get to see them take a step back and understand the big picture - the goal. The best part was to hear them say how their parents helped with project - how they sought help from a cousin or a brother who was in college already. To see parents in the pictures, filming the actual learning is priceless! Hi, Maggie. I'm so glad this resonated with you as much as it did me. I think there's something very powerful in seeing Audri get excited about her successes because she also understands the role of failure. Thanks for commenting!